After having a browse around the stand for about fifteen minutes I finally decided on which three to pick up. First to be picked up was the E39 Angled Liner brush, okay so for the past few years I've been using the Real Techniques Silicone Liner brush and think it's amazing because theres no brush bristles to be worrying about and I just find it easier to apply my gel liner with it. However I have been dying to give an angle liner brush a go, just for the reason that the angle just looks so good and that it would help achieve the kind of liner you want. Obviously I've been using it since buying it and I will say the thought process in my head made it seem like it was going to be really easy to use than I actually found it to be. Maybe it's just because I'm still not used too it but I do find it strange holding a brush thats pointing right towards your eye. Don't get me wrong it gives you so much precision its great but I'm still trying to get grips with it. The next brush I picked up was another eye brush (because you know, don't have enough of them or anything) and I decided to go with the E23 Pencil Brush. Reason for me picking a pencil brush is because I only had two so this is my third of that particular style. This is quite a thin brush which makes it so great for crease work as you really have control of where you want the product to go. I have literally been using this everyday and even find it's great for under the lash line too. Normally I can't use a pencil brush under my eyes as their too big and just irritate my sensitive eyes and make them water, but this one is so petite that it works perfectly. Finally the last brush I picked up was the F42 Multi Purpose Large Tapered Contour / Powder Brush. If you own the Real Techniques Blush Brush this is very like it shape wise, it may be slightly wider and I mean just the tiniest bit but thats the way I can explain it. I've been using this for applying Bronzer and I will say it also works just like the Real Techniques Blush brush. It just picks up the right amount of product that you need and distributes it onto the skin flawlessly. Overall the brushes are so beyond soft, and work really well and do everything for you. After trying these three I'll definitely be popping some more on my Wishlist to give them a whirl. 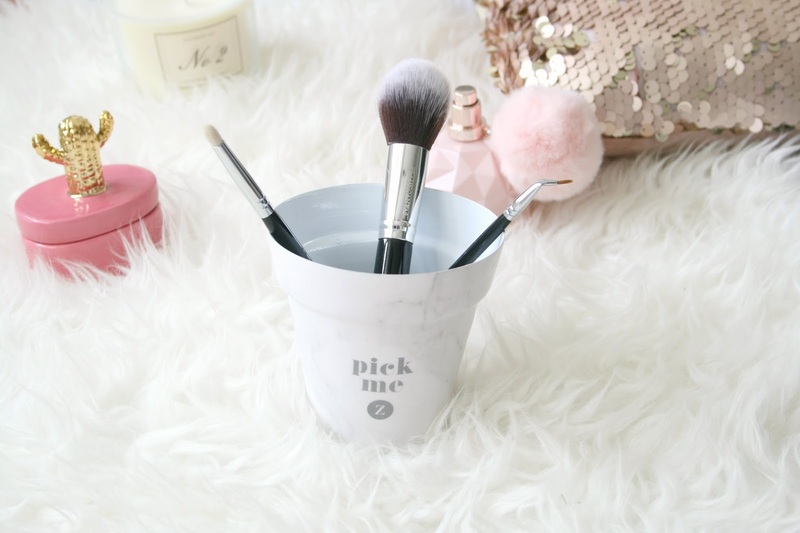 Have you tried any of the brushes from Blank Canvas?